You worked hard to get the education you dreamed of. You understood the importance of a quality education in a field that will make you happy throughout life right from the start. After years of pouring over the books, you finally graduated with that diploma in hand, proof of your accomplishments. The only problem is, now you have to find a lucrative job so you can pay back the thousands and thousands of dollars that you borrowed in order to wear that cap and gown. So, what do you do when there are no jobs in sight and student loan lenders and countless other creditors begin harassing you for money you just don’t have? Is bankruptcy an option to dismiss student loan debts? Unfortunately, due to legal changes that have occurred over the last few decades, student loan debt can no longer be discharged through bankruptcy. In reality, your student loans fall under the same category of debts that cannot be discharged as debts like child support or criminal fines. This can be discouraging to borrowers like you who are struggling to pay back those outrageous student loans to private and federal lenders. 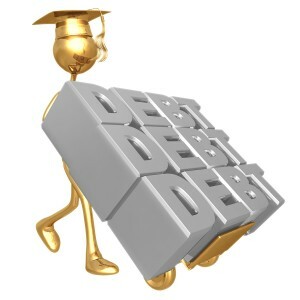 In many cases, federal student loans can be deferred or put into income-based repayment plans. But, any privately issued student loans –like those from Sallie Mae- rarely qualify for these options. Threatening phone calls, letters, and emails frequently harass you, your family members, and your employer, providing you with no hope of debt relief. 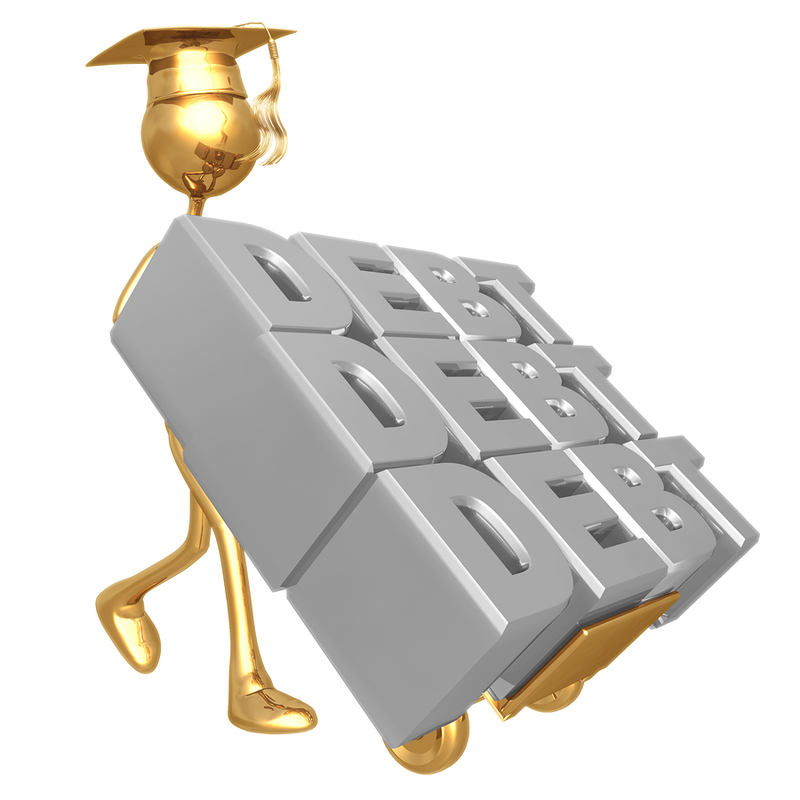 Why are student loan debts different from other forms of debt that qualify for bankruptcy? Your student loans are known as unsecured debts. This means that those loans that lenders give for further education are “good faith” loans. If you default on the loan, there is nothing the creditor can do to collect on what’s owed to them. If you can’t pay your mortgage, the bank can foreclose on your house. Your car can be taken away if you get behind on loan payments, and your utilities can be shut off if you don’t pay for your electric and water bills. But, these lenders cannot take away your college education, just because you can’t pay. Can student loans ever be discharged through bankruptcy? from paying those loans back. Although filing bankruptcy may not be a viable option for you to find relief from student loan debt, it may still be an option to help you deal with other mounting bills and debts you may have incurred. If you cannot pay for those higher education loans because of insufficient employment, you may not be able to pay back credit card charges, overdue utilities, or other debts you owe either. If this is the case, filing bankruptcy might be one option to consider. Although a last resort, filing for bankruptcy from your other debts may provide you with the needed to finances necessary to begin paying back those student loans. To learn more about bankruptcy and how you can find relief from your out-of-control financial debts, please contact my office to day. I can answer your questions and help to guide you through each step of the bankruptcy process. Call Toledo bankruptcy lawyer Michael E. Bryant today for all of your legal needs.